The 2016 Perth Writers Festival has officially launched and tickets are now on sale! Register at perthfestival.com.au to receive your free Perth Writers Festival program – it also appeared in The Weekend West on Saturday 16 January. Read on to find out about some of the special events that are part of this year’s Writers Festival and visit our website to purchase tickets. Australia’s longest-running, live storytelling series, Barefaced Stories, descends upon the Perth Writers Festival for a special evening event on Friday 19 February; while on the evening of Saturday 20 February members of performance group, Sketch the Rhyme, play off against each other in a hip-hop game show where speed-drawing meets freestyle rapping, all to the sounds of a live band! Our popular series, Fine-tuning, is also back to explore the connections between literature and music, while From Paddock to Print focuses on all things food-related over the course of the Saturday. This year, we are thrilled to welcome a wonderful group of brilliant minds and great thinkers to the Perth Writers Festival. Popular philosopher, Roman Krznaric, delivers the 2016 opening address and Lisa Genova, acclaimed author of Still Alice and Inside the O’Briens, closes the Festival in an event exploring issues central to our humanity. 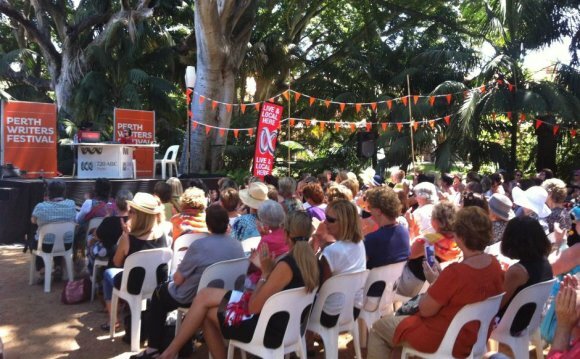 To get a taste of what the Writers Festival has to offer, revisit our 2015 event with Geraldine Brooks. Australian author, Fiona McFarlane, has degrees in English from Sydney University and Cambridge University, and an MFA from the University of Texas in Austin, where she was a Michener Fellow. Her work has been published in Zoetrope: All-Story, Southerly, The Best Australian Stories and The New Yorker, and she has received fellowships from the Fine Arts Work Center in Provincetown, Phillips Exeter Academy and the Australia Council for the Arts. The Night Guest, her debut novel, has sold into 15 territories around the world and her latest title is a collection of short stories titled The High Places.